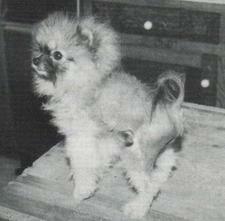 I have been breeding, showing pomeranians for 33 years(1977). I experienced bsd when I first started with very expensive top show winners from Japan but ignorantly, I thought it was because the dog was getting old. Then, sometime in 1994, I read in the Pom Reader about bsd. I then realized the bsd that I have had. From then on, I resolved not to ever ever have it again. I think I am been quite successful in this resolve. November 6 & 7, 2010 were busy days for the Philippine Pomeranian Club Inc. On the 6th, we had our 31st & 32nd Breed Specialty Championship Show with judging being done by Dr Orlino F Hosaka(Philippines) and our special guest Mr Hsieh Cheng-Ju(Taiwan) of the world famous Chiao Li Ya Pomeranians. Pictured in our front cover is Ph Ch Canton White Martini which exhibits the successful blending of Canton whites and Chiao Li Ya Pomeranians. With Ph Ch Canton Classic Star untimely passing away last year, it is very hard to talk about him and anything related to him. 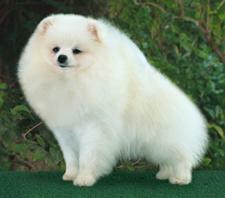 With some good news about the poms he has sired in the US, it is eases up the feeling of waste...at least his good genes can be passed on the international pom kingdom. Classic Star sired a litter of 3 with CJ-Peep Pomeranians(Susan Langry and Julia Smith, breeders of our Parker son, Am Ch CJ-Peep Tequila Sunrise). 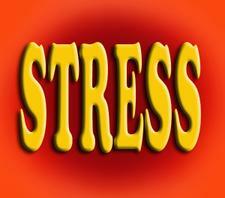 Follows is the email communication giving the details. 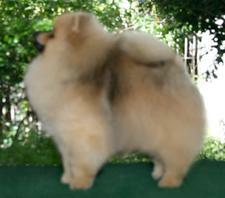 Much discussions of the origins of Canton Pomeranians has been done in my various kennel visit and revisit with the Pom Reader, so my blog readers are welcome to read them in the About US portion of this web page, under the section Magazine Articles. 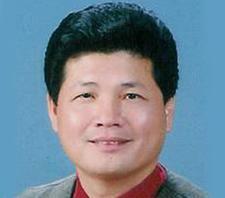 I like to share my mind with my regular blog readers so that they can better understand me. Someone asked me why I keep so many dogs when I can achieve almost the same end result with less. I suppose, the answer to this is my search for knowledge and the fulfilment of an unrealized ambition in life. 43: Is this really Parvo Virus? Very often, when a dog has a bloody stool...or when a dog dies with a bloody stool, Parvo virus is blamed even though the dog has been injected with the vaccine. Vaccination failure is oftentimes used as the explanation. I find this a convenient scapegoat of an ignorant vet. My earlier blog talked about the fox-like expression. Take note the foxy adjective referred to an expression rather than the head itself. 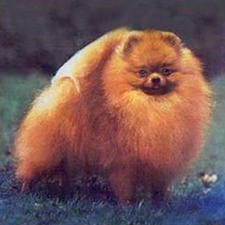 In the United States, a foxy head means a long muzzle and this is not what a fox-like expression means!!! Therefore, to describe a head as a fox-like head is quite different and could be confusing because it gives the reader the impression that a fox-like head is the same as a fox-like expression. 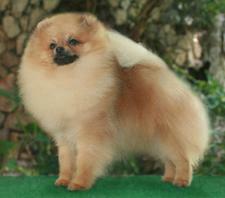 Our cover picture is one of the old time greats in Pomeranian history, Eng Ch Hadleigh Shining Star. 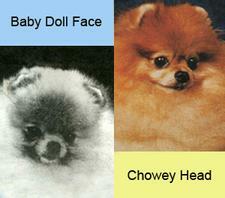 His appearance captures the breed essence requiring a genuine fox-like expression that is fast disappearing in today’s poms…perhaps, in favor of the more chowey heads……or perhaps it will be more accurate to call them teddy bear heads. Another good news, this time from Ukraine. 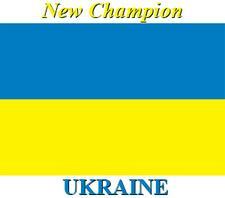 Another homebred Yingyang Celion has become a new Ukraine Champion. I happily exhibit below the Championship Certificate that has been email copied to me. Congratulations Frantsijan Anatoly Leonitovich! I look forward to Canton French Attraction finishing his Ukraine title.